The Heritage Preservation Services (HPS) system helps small and not-for-profit cemeteries to enter the 21st century and digitize records that currently only exist on paper or in legacy systems. HPS gives clients a structured system without forsaking the option to customize the system to reflect each location's uniqueness. maintain all files in easily searchable format. By digitizing records, they will be safe for posterity. All information that is entered in the system is automatically backed up on a regular basis. No need to ever worry about the safe keeping of your records again. The HPS System will allow great accessibility to all who have been granted access privileges. No matter where your administrators are, they will be able to access the records they need. All that is required is a computer with internet access. Optionally, you can even make subsets of your information available to the public. Let the world know what makes you special. With an "About" section on your HPS site you can publish any information you like about your cemetery. Offer your community access to information about your cemetery and their loved ones within the cemetery online. It will be a great value added service to provide to your community. Also, exchange site links with other local sites (e.g. your county's website). Look up your available sites & add new sites with just a few clicks. 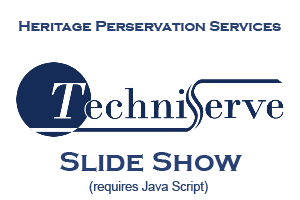 TechniServe's HPS System makes your everyday record storing and retrieval easier than ever before. Add burials into groups so you can lookup all Veterans in your cemetery with just one click. Want to help genealogy fans track their family history? Now it is easy with the Family Tree feature of the HPS System. Family Tree's can be generated within the system and offered to your community and the world. Enter the name of a loved one to find them in our cemetery.